Clubhouse Open with "Public Golf Simulator"
Opened August 1st 2013, This beautiful facility has the golfing world praising it's magnificence. 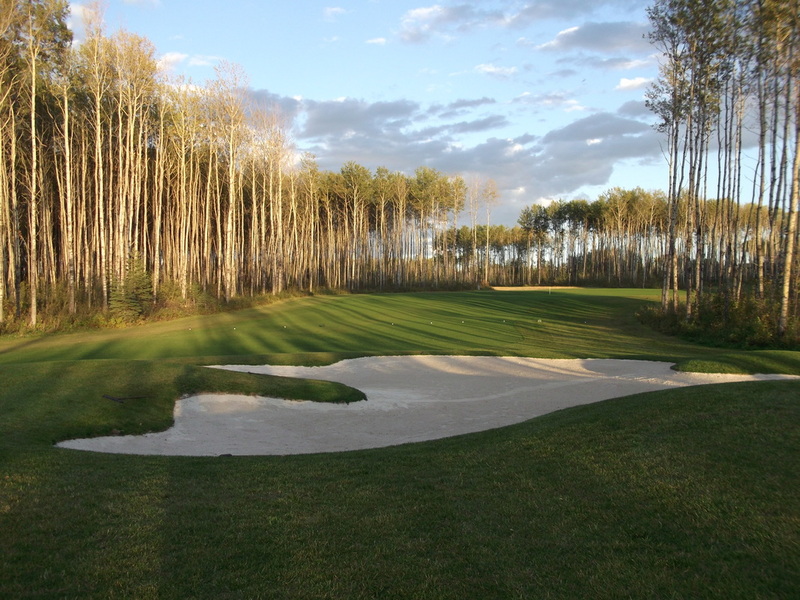 Located just north of the hamlet Wabasca in the Municipal District of Opportunity three hours north of Edmonton. This spectacular new facility offers 9 holes of championship golf (with nine more coming), a multi-million dollar clubhouse, restaurant, banquet room, terrace patio, fully stocked Pro- Shop and CPGA Professional, driving range, practice putting green, golf simulators and new power carts.